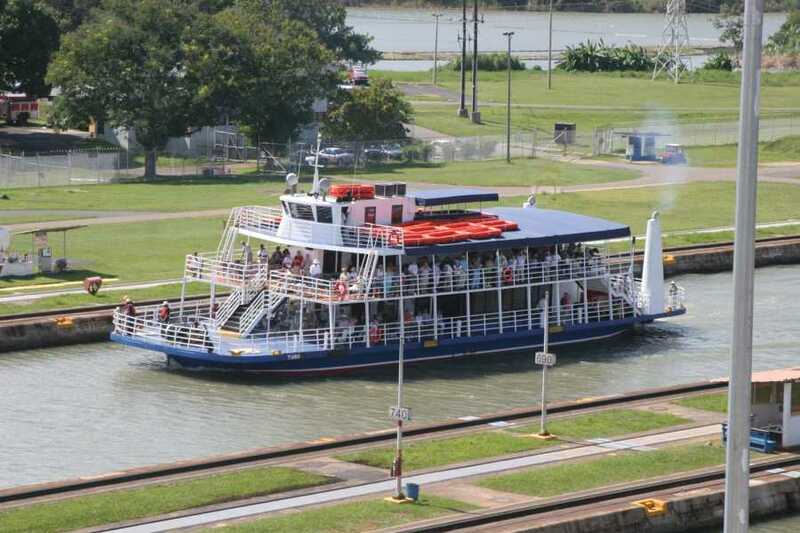 Navigate through the Panama Canal and enjoy a unique experience following the same route as the vessels that cross the Panama Canal. Witness a few meters the opening and closing of floodgates of the Canal locks, all this in an entertaining marine journey in our comfortable boats. The partial transit includes passage through 2 sets of locks and lasts approximately 5 to 6 hours. Starting time will be confirmed the day before through your email since it depends on the Panama Canal Authority and the schedule which confirms this transit. Tours can be executed either way as transit to the north (from Amador to Gamboa) or as transit to the south (from Gamboa to Amador), depending on the location of our Ferry and the logistics inside the Panama Canal which is adjusted to the ACP’s program. This Activity takes place in the Panama Canal. You arrive the boarding dock, where you will get on the ferry and the transit through the Panama Canal will begin. Experience first handed the transit through the 2 sets of locks located in the Pacific side: Miraflores Locks and Pedro Miguel Locks. You will see how the Panama Canal works and learn everything about it. You get back to the disembark dock. Experience the world’s 8th wonder in this all day adventure. Navigating through de Panama Canal and enjoying from the experience to witness these massive locks opening in front of you to cross the Panama Canal.